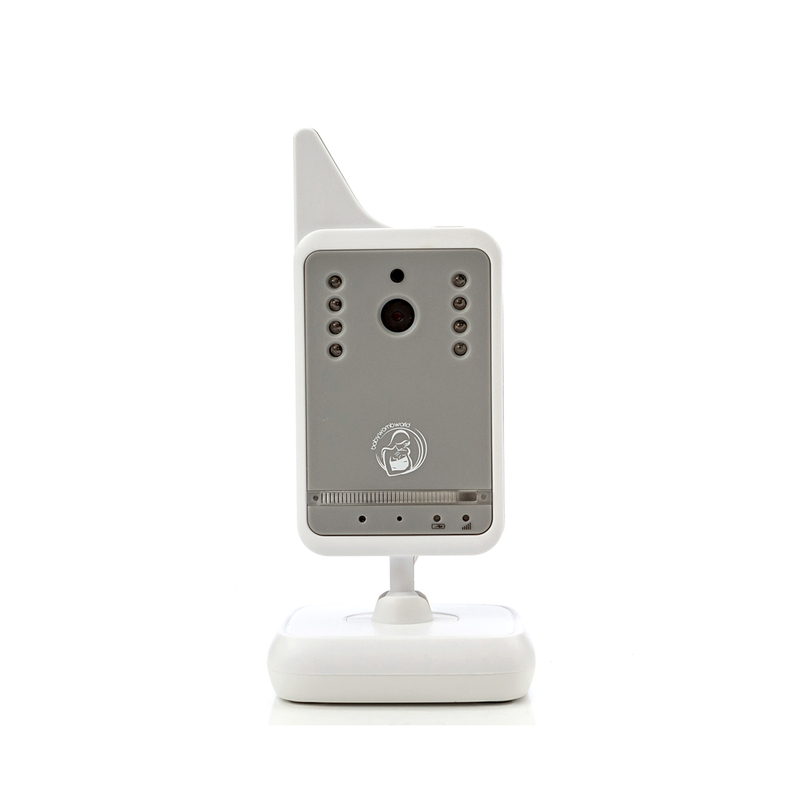 An Extra Camera – The BabyWombWorld BWW-9021 baby monitor can have up to 4 cameras linked to one monitor. 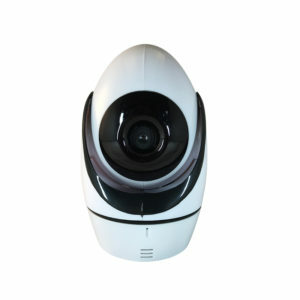 Each of the cameras comes with its own power supply, but has a built-in lithium battery that can be charged. Important Note !!! – This camera cannot work on its own. You have to have the BabyWombWorld BWW-9021 baby monitor. 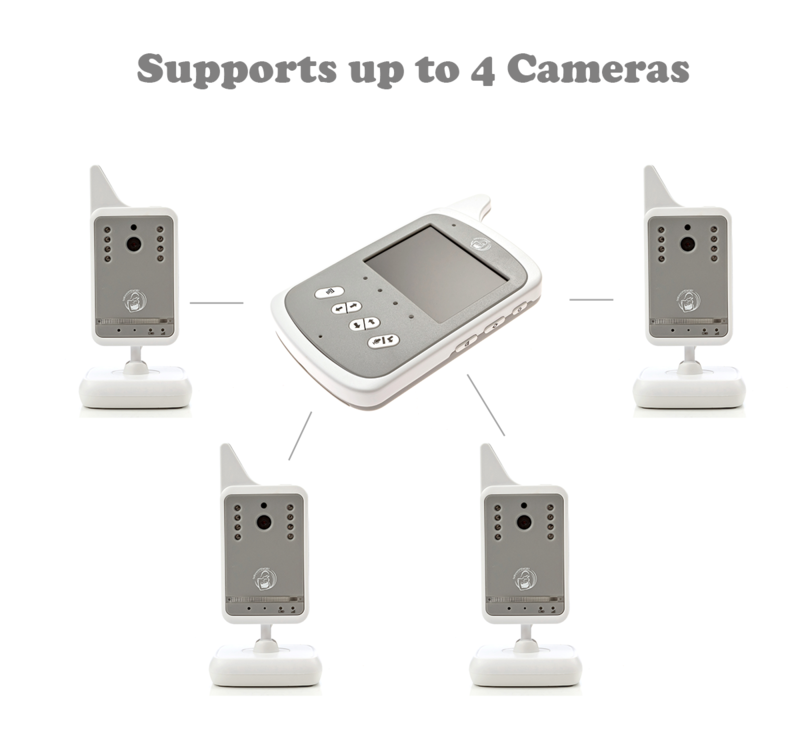 How to pair your additional camera. 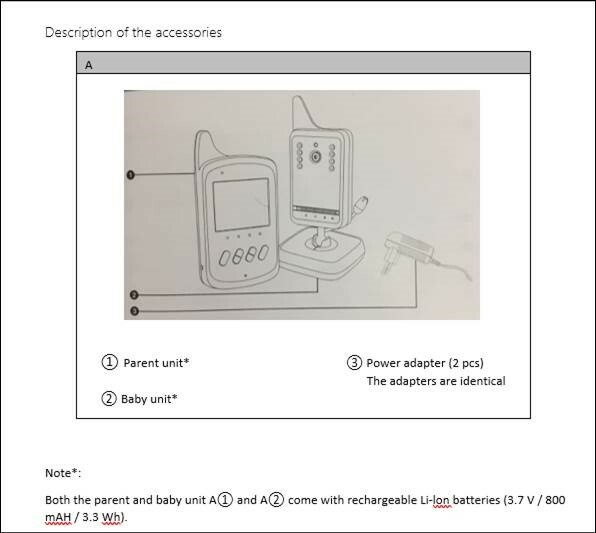 The baby unit A② is paired with the parent unit A① in advance. 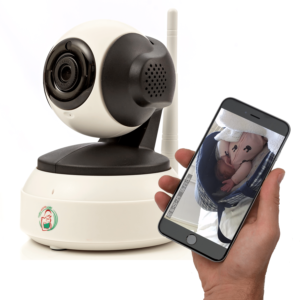 However, in the event of purchasing an additional camera, then it is necessary to pair the units in order for the baby monitor to function, proceed as follows. 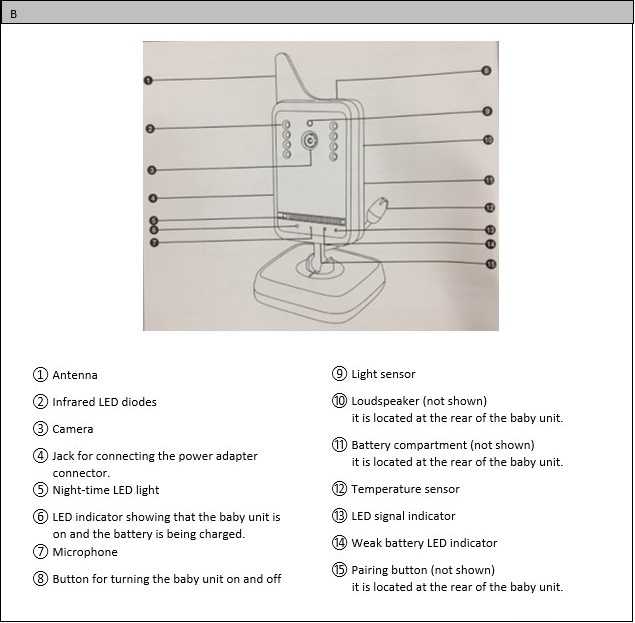 Make sure that the baby unit A② is turned on and press the pair button B⑮. 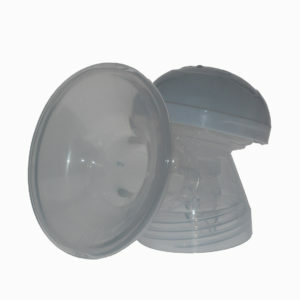 The LED signal indicator B⑬ will start flashing. This indicates that the baby unit A② has switched to pairing mode. 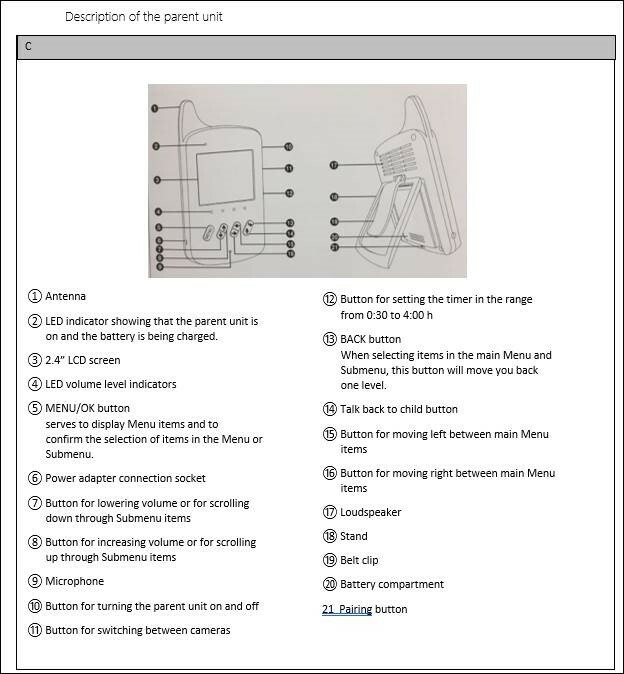 Make sure the parent unit A① is turned on and press the pair button C21. The screen C③ will switch to the pairing menu display mode. Use buttons C⑦ and C⑧ to select your preferred channel (CH1 to CH4). Use buttons C⑮ and C⑯ to select item “Pair” (pair). Confirm the selection by pressing the button Menu/OK C⑤. The message “Pairing…” (pairing) will appear on the screen C③. 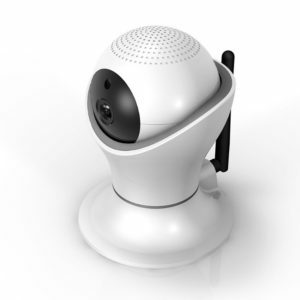 If the pairing process is successful, the message “Pairing succeed. CHx is selected. Press OK button to back Menu. “ will appear on the screen C③. After a moment, the screen C③ will automatically switch to the picture from camera B③ display mode. Status “Paired” in the pairing menu display mode means that the camera is successful paired. If the pairing takes longer that 20 seconds, it means that it has not been successful and the message “Waiting for Connecting…” (waiting for connection) will appear on the screen. Then the parent unit A① will automatically switch back to the preceding display mode. 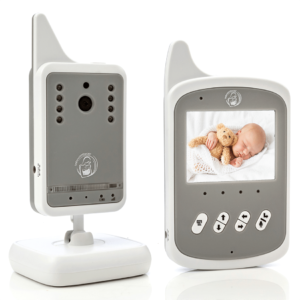 If you wish to cancel the connection to the baby unit A② or one of the other connected cameras proceed in the same way as when pairing, only with the difference that for the camera that you wish to cancel, select the item “Del” (delete) instead of “Pair” (pair).